Fall River police are currently investigating an early morning crash that left one man with serious injuries. 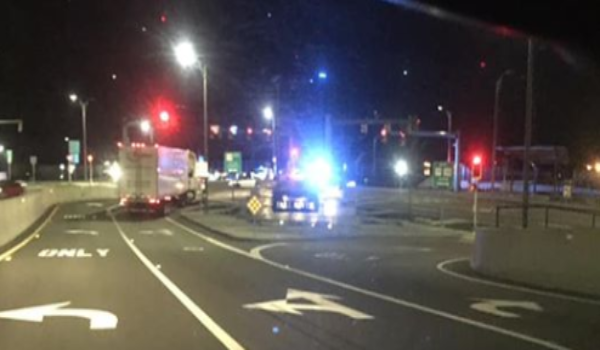 According to Detective John Robinson, at approximately 1:00 a.m. this morning, Uniformed Officers of the Fall River Police Department were dispatched to the Broadway Extension in response to a vehicle versus pedestrian crash. Reporting Officer Andre DeMelo stated that on arrival, the 28-year-old operator of the vehicle told him that she was traveling south on the Broadway Extension in her Toyota Solara when an unknown male stepped off the curb into the path of her vehicle. The operator stated that she attempted to stop but was unable to do so before striking the pedestrian. The 27-year-old male victim was first transported to a local hospital and then transported to a Rhode Island Hospital with serious injuries.